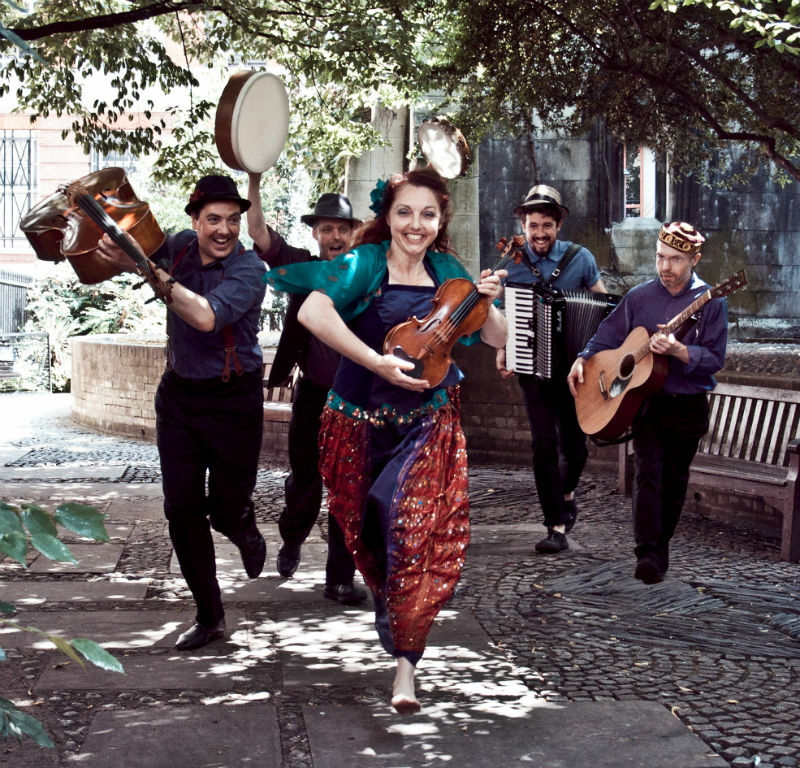 Inspired by the charisma of Esma Redžepova, the virtuosity of Taraf de Haïdouks, the elegance of Vivaldi and the humour of Emir Kusturica, Balkan Magic stage ‘A Gypsy consommé with a satanic pulse’ (Froots Magazine), a vibrant show of beautiful melodies and dancing rhythms from Eastern Europe and the Balkans. 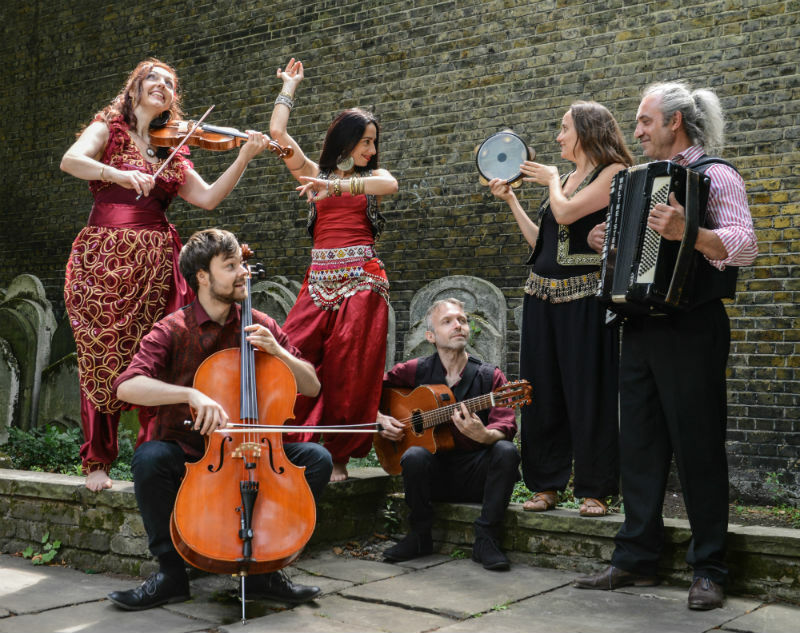 Gypsy & Balkan Musicians, Balkan Magic has a wide repertoire, performing eclectic musical arrangements for Art Centres and Chamber Music venues, and vibrant up-beat music for parties and festivals. 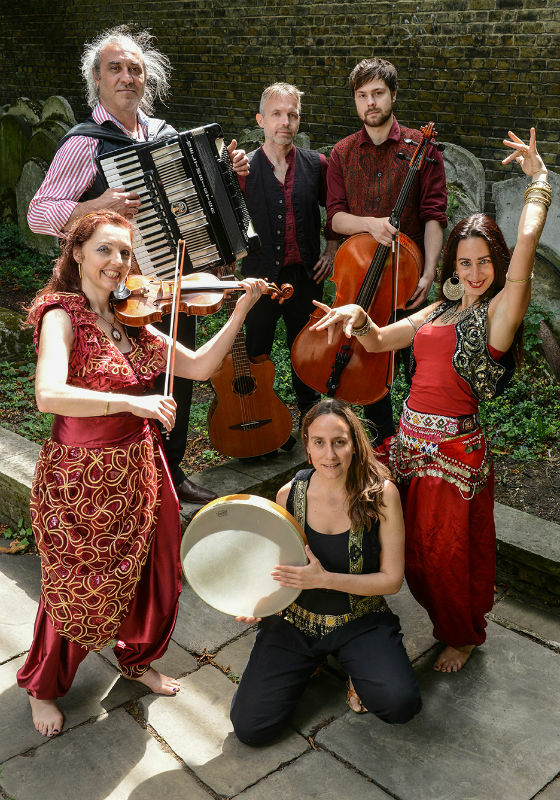 Frequently they are appear with one of their Balkan dancers, who will perform in a variety of Balkan and Eastern European styles in traditional outfits, and lead Balkan circle and line dances for the audience. 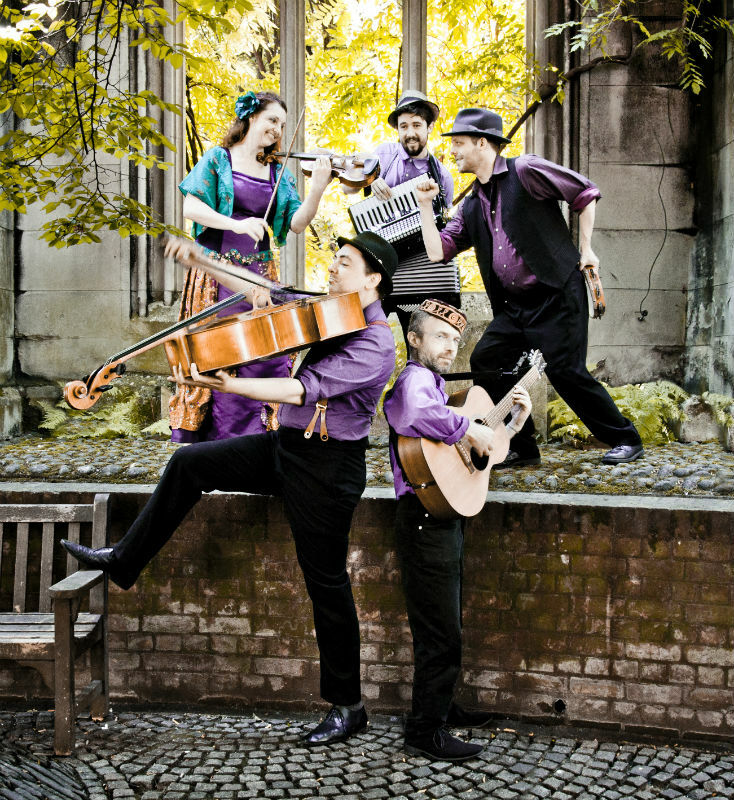 ‘a shining star in the UK’s Balkan music scene’, her unique performance style showcases a technical ability acquired through intensive conservatoire training as well as a colourful and charismatic personality.